Most of the other similar companies charge a fee of more than $1000 per domain, but PickyDomains.Com is an agency which will ask for only $50 per domain name. You can purchase the perfect corporate name choosing from countries around the world, including the US, Russia, Australia and New Zealand. The client will pay just $50 and will receive a list of the available domains in the next 30 days. She can pick the one of her choice and it will be hers immediately. Half of the sum is paid to the person who found the domain, and the other half is for the agency. This means that anyone, who can generate cool and memorable names can sign up as a contributor on the site and actually earn cash working for them. In case the customer doesn’t find the perfect name for herself, the $50 fee will be refunded to her after the 30 day period is over. Extremely simple business model, and extremely profitable. You order a service, pay the price and if you are not really happy you just get a full refund. The customer can lose nothing and there are no hassle and questions asked. 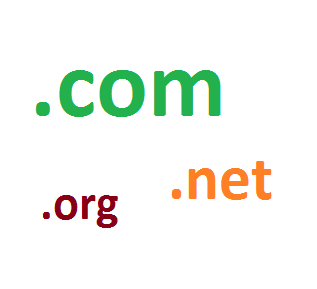 This brilliant service has found the perfect solution for all seeking to acquire the best domain name for their business. PickyDomains.Com is the ideal service for this purpose. Also, the site is great for earning some cash, too, if you are full of ideas about cool names. You just need to register as a contributor (for free) and start generating ideas. Your domain ideas are suggested to the customers of the site and if someone likes one of your suggested names, you get paid. You can work directly from your home, but you need to be really creative, because customers are … choosy. But the more important lesson here would be that making money online is really easy when you can do something, and you can do it well. Everyone is good at some area… What is yours? If you have found it, why don’t you try to employ it? Please, share this article, if you think it’s interesting. Don’t miss checking out some of the related posts from below.